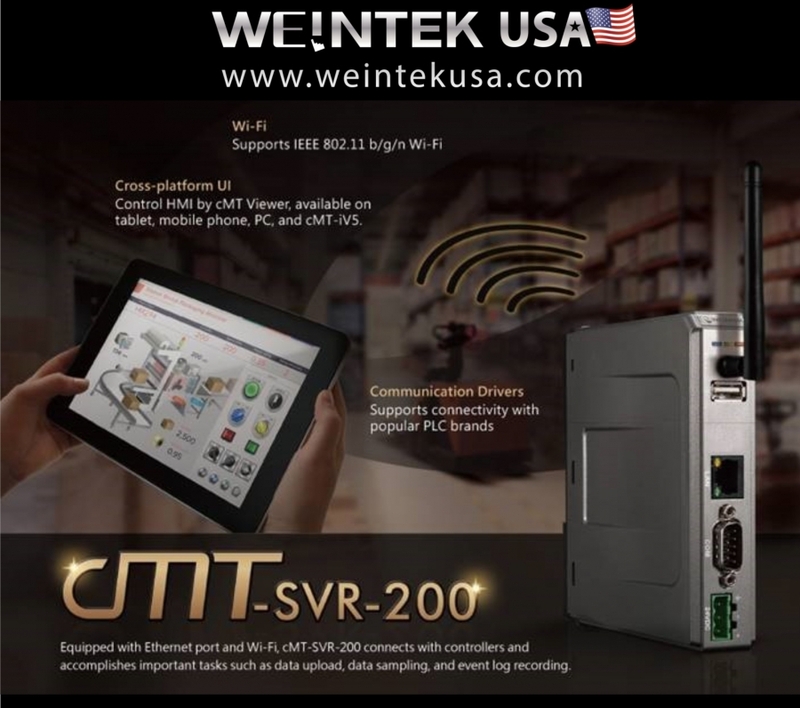 Introducing our new Gateway models: cMT-G03/G04, which can painlessly connect existing devices to IIoT without the need for modifying system architecture. 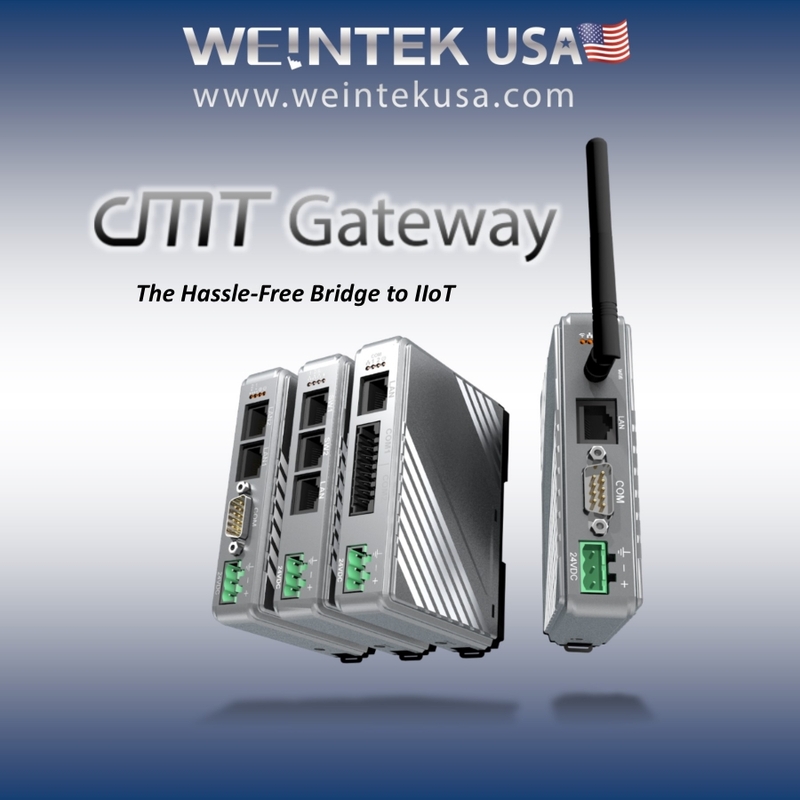 cMT-G03 is equipped with two serial ports (COM) and one Ethernet port (LAN/WAN), and can function as a serial bridge. cMT-G04 is equipped with two switches (SW) and one Ethernet port (LAN/WAN), and can function as an Ethernet switch. Based on the existing 4.3” MT8050iE model, this new generation model has the same cutout dimension as its predecessor. Furthermore, despite its tiny profile, it has successfully incorporated dual-Ethernet architecture, and users will be able to reap all the benefits dual-Ethernet architecture may offer. 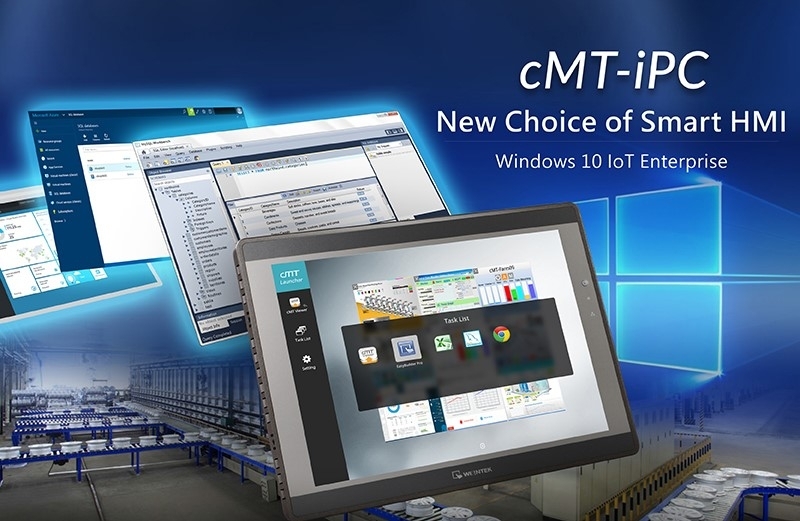 Further expanding the capability of the cMT Remote Access line of Human Machine Interface (HMI) devices- is the addition of the cMT-iPC10 and cMT-iPC15 industrial touch screen ﬂat panel PC’s with embedded Windows OS. 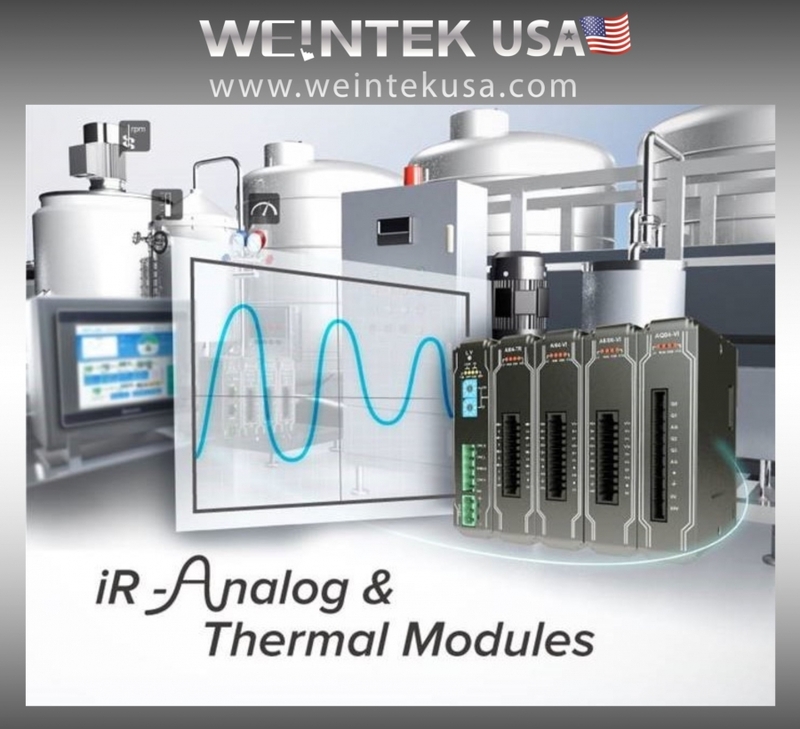 Being able to incorporate an industrial PC with its powerful analysis and communication applications (i.e. Excel, Word, Access, Outlook etc.) 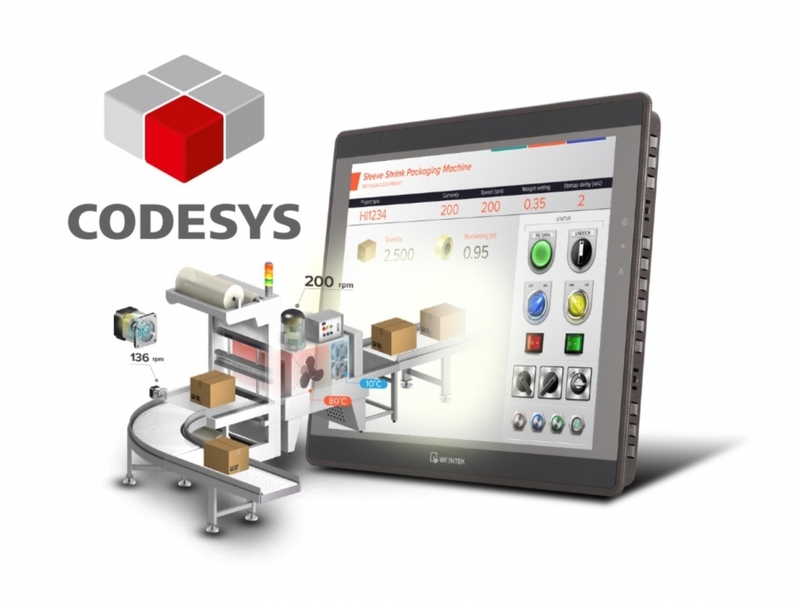 A cMT-iPC10/15 with a cMT-SVR can run EasyBuilder Pro software to work directly, via fully functional HMI with the plant ﬂoor device. The cMT-iPC10 and the cMT-iPC15 both include a 1.75GHz dual core 64bit CPU, 32GB sad and 4GB ram. 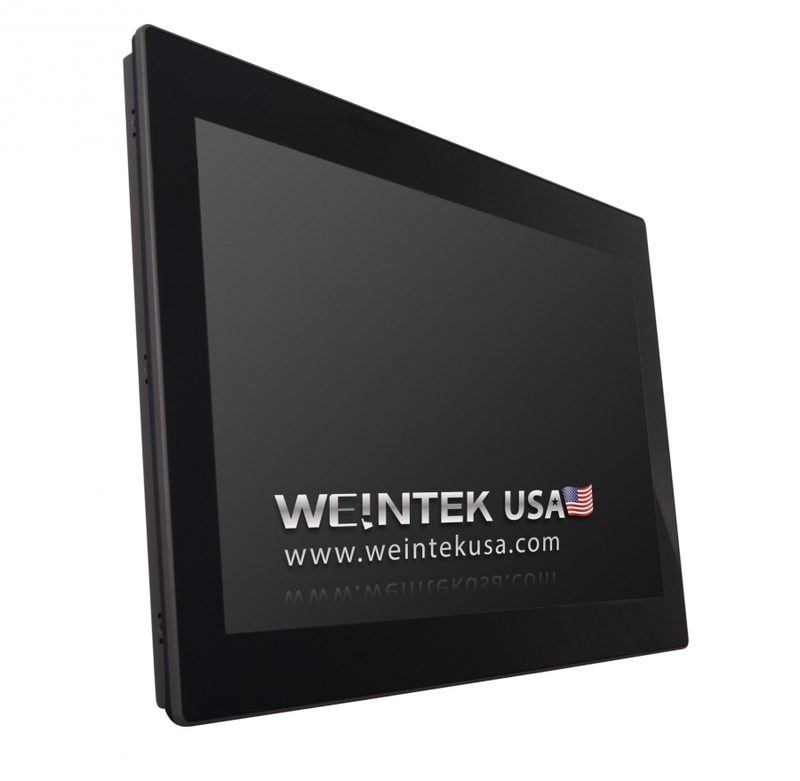 The cMT-iPC10 boasts a 9.7 TFT display with 1024x768 resolution. 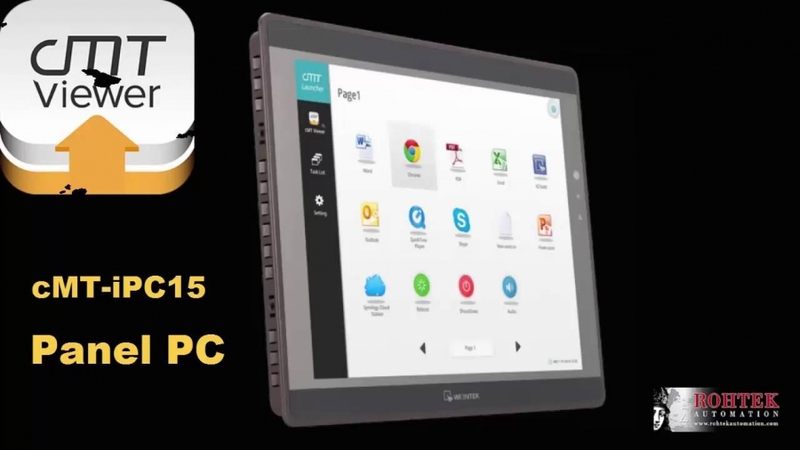 The cMT-iPC15 has a similar 15-inch-High Resolution display. The operating system is either Windows 7 or Windows 8.1. 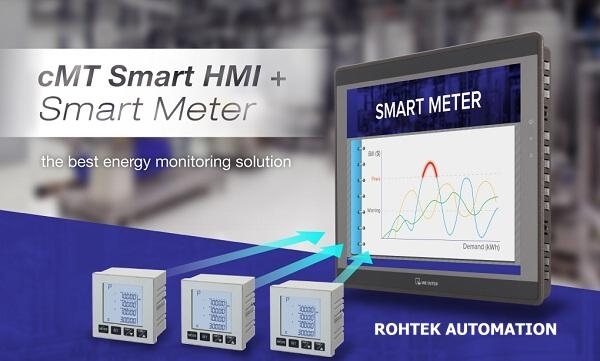 Smart HMI + Smart Meter. 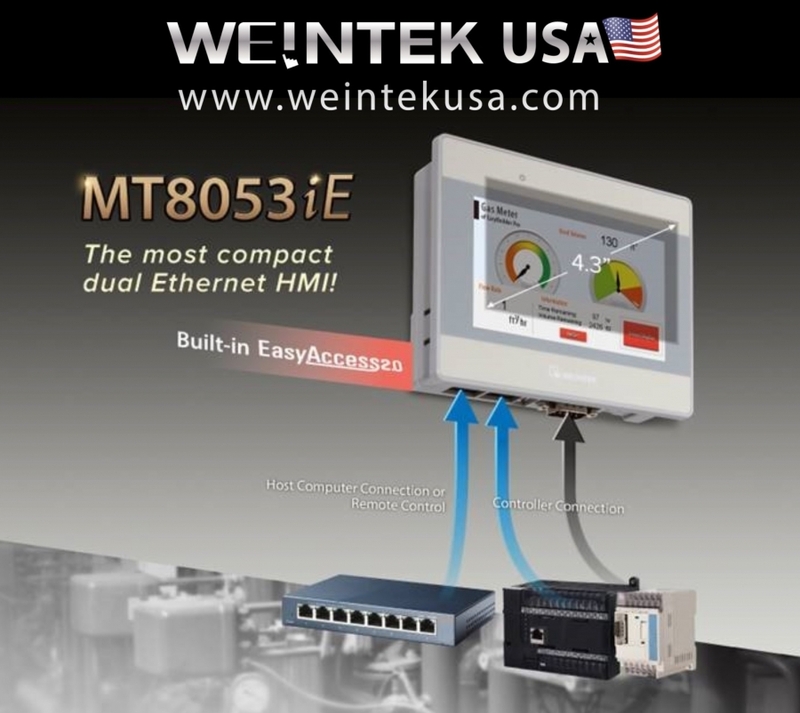 Our Weintek cMT combination of cMT3151 and a Smart Meter offers a great solution for an energy demand management system. The accuracy of demand calculation is ensured by two user defined parameters: “Demand Duration” and “Demand Update Frequency”. The acquired data can be used to monitor and easily manage production demand. 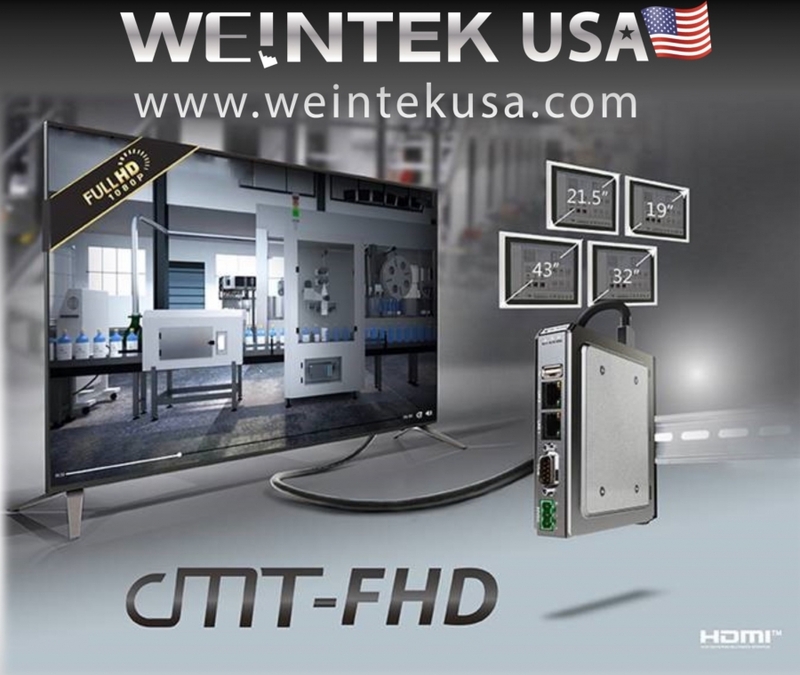 The cMT HMI is not only an HMI, it is also a Server which can be view and controlled by other monitoring devices or displays such as via WiFi to iPad/Android tablets or to a cMT-iV5 on the network. via “Easyaccess 2.0” and cMT Viewer.